Suppose that you could not hear or you could not speak, and that you were much smaller than most people. Would you have the courage and persistence to succeed in reaching your dream to play Major League Baseball? 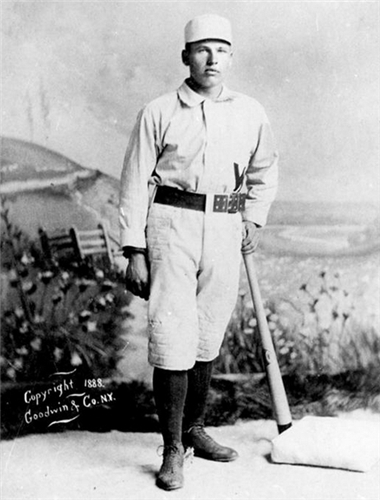 Baseball great William “Dummy” Hoy did, and he became the first deaf player to have an extended career in the Major Leagues. Because of his deafness, he was instrumental in creating hand signals between coaches and players that are still used in baseball today—benefitting both players and fans. William dedicated most of his life to developing and encouraging young baseball players, especially those with physical challenges who were playing on community teams. He grew up playing street baseball outside his house with his friends and local amateur teams. I See the Crowd Roar is the inspiring story of William’s tenacity and perseverance, and of how he overcame his hearing and speech disability to realize his dream of being a Major League Baseball player. His tenacity and work ethic also helped him set Major League records, stealing 82 bases as a rookie—a record that stood for 97 years—and throwing out three base runners at home plate in a single game—a record that still stands nearly 125 years later. Most of all, William Hoy is an inspiration to all of us who must overcome life’s challenges. He is also a man of character and a great role model for today’s youth. This is a 40-minute inspirational movie and true story of William “Dummy” Hoy, a CHARACTERED© man who could not speak or hear, yet overcame the challenge and became a very good Major League baseball player from 1888 to 1902. One of Major League baseball’s first deaf players, William Hoy’s life and achievements on baseball fields are chronicled from his youth to the closing of an amazing 14 year Major League career. Learn of his many achievements on the field, including being credited with the creation of hand signals still used in baseball today! Fans learned to use visual displays such as waving their hands when cheering for him since he could not hear them cheer, but could see their excitement about his play. He had a record 82 stolen bases in his rookie year while batting just .274. The life of William Hoy is something young and old can marvel at, and from which individuals can learn and raise aspirations. As a deaf man, William “Dummy” Hoy was able to achieve things unthinkable in a time and place that had great prejudice towards people with disabilities. This film should inspire anyone, young or old, either with or without hearing, and whether they are a baseball fan or not. William Hoy not only beat the odds of being a deaf person who was unable to speak, he became an elite outfielder of his era.